Mambajao is often understood as synonymous to sweet, succulent lanzones or langsat. Vendors who sell this fruit sometimes label them Mambajao lanzones to emphasize that what they are selling are the sweet, succulent kind. However, lanzones are rarely insipid or tasteless. More than that, the fruit contains several nutrients like vitamins A, B1 or thiamine, B2 or riboflavin and ascorbic acid. It also contains calcium, phytin and phosphorus. Likewise, lanzones are a source of protein, fiber and carbohydrates. Additionally, burning the dried peelings of the fruit can repel mosquitoes. Camiguinons recognize the benefits of the fruit that they have devoted a festival -- the Lanzones Festival -- to celebrate its attributes. The Lanzones Festival is held every October, which coincides with its harvest. It is basically a thanksgiving ritual for a bountiful harvest. Legend has it that the lanzones fairy granted the wish for a child of a childless couple. Because the couple forgot to thank the fairy, the fairy got incensed that she knocked the granted child unconscious while the child was playing. Realizing their ingratitude, the couple performed a ritual to placate the angry fairy. With that, the child was restored to the pink of health. 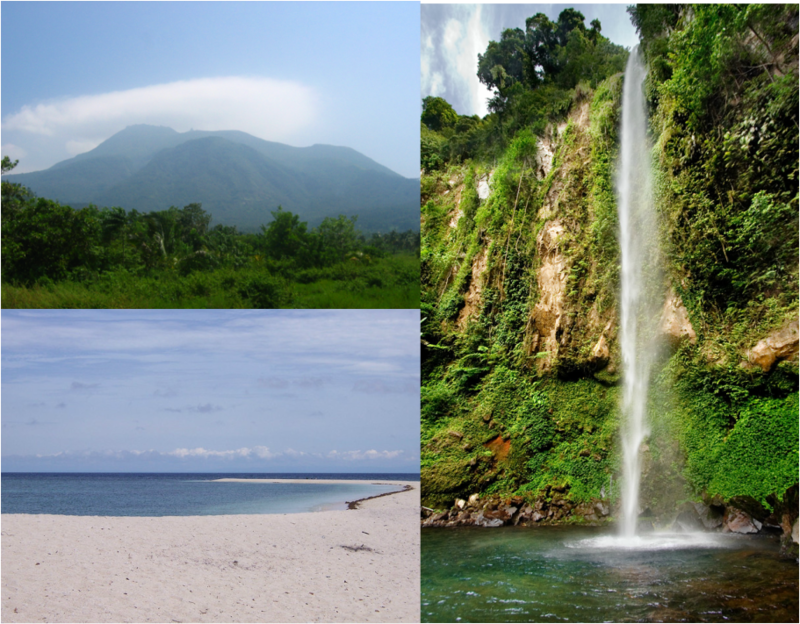 One of the famous attractions in Camiguin is White Island. It is a sandbar often described as U-shaped, C-shaped or horseshoe-shaped. It is up to you to decide what shape it takes. The sandbar is acc﻿﻿essible by motorbanca, often called pumpboat, from the ports of Agoho or Yumbing. Travel takes about 15 minutes and starts as early as 5:00 AM. Since no plants grow on the island, you can rent beach umbrellas or put up a tent. Those who opt not to be burned nor dehydrated can go to Katibawasan Falls. It falls on a pool surrounded with boulders, trees and other plants. Others who are active enough to ascend Mt. Hibok-hibok may start or end their trek with a dip at Ardent Hot Springs. Hot springs, containing sulfur may also be good for those suffering from skin diseases, arthritis or gynecological discomforts such as PMS or those arising from menopause. Plus, a spa treatment afforded by hot springs is beneficial for young-looking skin. Not to be missed are the myriads of volcanoes that dot the island. Most are inactive, which makes them ideal for trekking or mountain climbing. Bordering the Municipality of Mambajao are Mt. Vulcan, Mt. Hibok-hibok, Mt. Tres Marias, Mt. Mambajao and Mt. Timpoong. Divers, historians and anthropologists might also find the seabed of the island strewn with sunken vessels.